When you add feng shui elements to the rooms in your home, it requires careful consideration of where each object is placed in order to maximize the flow of chi. 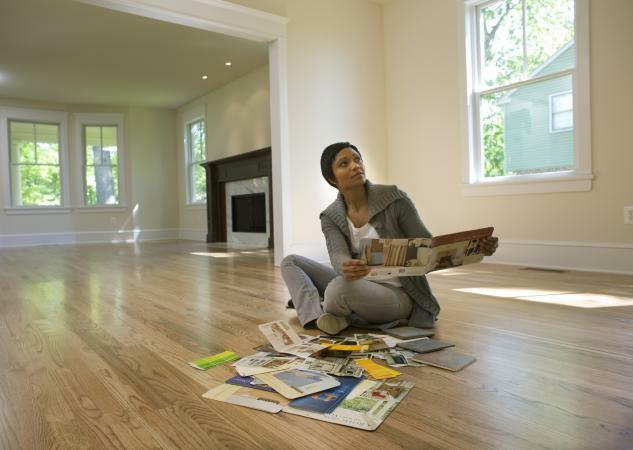 Follow simple feng shui rules for placement, such as decluttering, to get started. However, when you're ready to take a deeper dive, use feng shui room by room to create optimal energy flow throughout your entire home. Begin With Feng Shui in Outdoor "Rooms"
The inside of your house isn't the only thing that's important in feng shui. Consider your outdoor space its own room so you can create auspicious energy as it moves into your home. There are some things outdoors you can't control, such as poison arrows pointed at your house, but you can and should implement feng shui cures to remedy these in order to minimize negative chi flowing into your home and life. 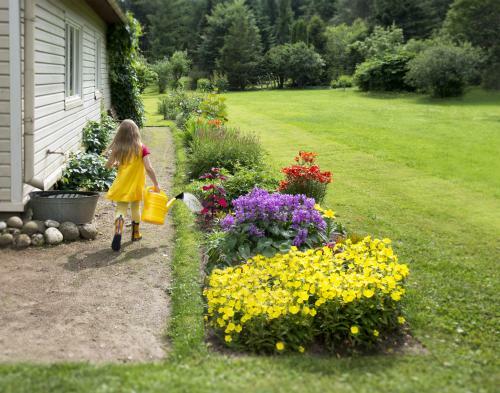 Just as you would with your indoor rooms, declutter your outdoor rooms by weeding gardens, removing debris, trimming and edging grass, keeping hedges and plants neat and trimmed, touching up peeling paint, and making any necessary outdoor repairs. Keeping your outdoor areas neat and tidy invites auspicious chi to surround and enter your home without obstruction. Place a water fountain near the front door making sure the water flows towards your door to bring auspicious chi into your home. You can also place water features in your front or backyard with the water flowing towards the house. Filling a water feature with koi fish can improve prosperity provided you place and maintain it properly. You can also place any number of ornaments and adornments in your yard and garden to help create auspicious chi. The important thing to understand is these ornaments need to be carefully selected and placed with intent and respect. Place Buddha statues facing your home at eye level to bring positive energy. Use wind chimes outdoors to turn negative energy directed at your house to positive before it comes in your front or back doors. The decor you use on your front door and the color you paint it also matter. 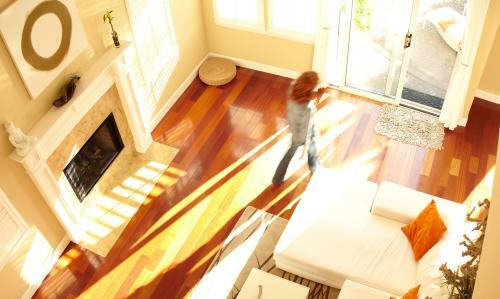 Doormats, knockers, wreaths, and furniture near the door all affect how energy enters your home. Your entryway or foyer is where you first invite energy into your interior living spaces. Therefore, it's essential you choose colors for your foyer that support positive energy, and keep it neat and decluttered. Avoid making foyer feng shui mistakes such as hanging a mirror facing the front door because the reflection will bounce any energy right back out from where it came instead of allowing it to flow in your home. 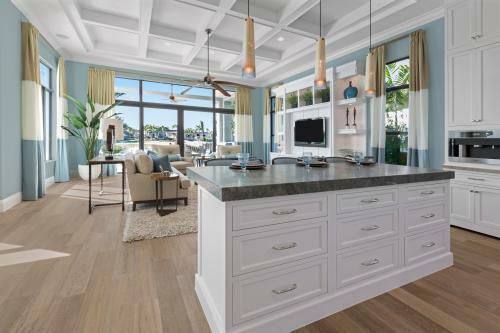 The kitchen is considered the heart in many homes because it is where family and friends gather to socialize and for nourishment. How you place items and appliances in your kitchen affects how the energy flows throughout. For example, you don't want your range located in the Heaven's Gate (northwest) sector of your kitchen, which is where good luck resides, and using a heating appliance could destroy or dampen that luck. Kitchen colors are also important to support auspicious chi and moderate or feed the fire element that comes with appliances. 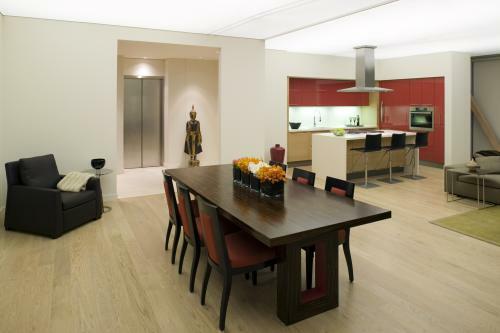 In the dining room, support auspicious health luck and abundance by choosing a dining room table in the right shape. The shape of the table supports different types of energy. For instance, a round table supports abundance while a rectangle supports growth of the family. The color of your dining room and the objects you use there, such as dishes and decorations, can all support or detract from these energies. The bedroom is a place where you relax and rejuvenate. In a marriage, it is also a place where you explore physical intimacy. Therefore, bedroom arrangement and color are both essential in creating love, harmony, and balance in this vital space. Use a feng shui bedroom map to help you find the right placement of furniture and objects. 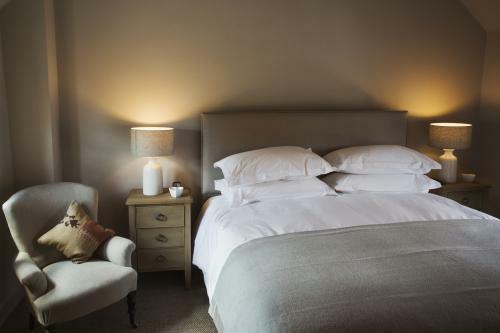 Feng shui has a number of rules for how you place the bed. Its position in relation to the door, bathroom walls, and windows all affect various aspects of your energy including how well you sleep. It's important to place the bed carefully so your chi isn't overstimulated. Bed height and the type of headboard and bed you sleep in can also affect the quality of your sleep. For instance, a bed with storage underneath blocks the flow of chi beneath the bed. Art in your bedroom shouldn't be too overstimulating, and it should support love and, if you're in a romantic partnership, marital bliss. Never place images of water or water fountains or features in your bedroom because it will create too much yang (active) energy for the peace and harmony required for sleep. Some bedrooms have chi issues simply because of where they are located or what has occurred there in the past. For example, a bedroom over a garage is considered inauspicious because it is devoid of chi energy, so it will require some simple remedies to make it a peaceful place to sleep. A bedroom where someone has died can also have stagnant chi, so feng shui remedies for this space are necessary, as well. You can also feng shui your baby's nursery to improve chi and give her a good start at life. Issues such as lighting, storage, furnishings, color, and object placement can all work together to help create the ideal environment for your new baby. Creating an auspicious living room is essential because families and guests gather here and usually spend a great deal of time in the space. Many people place important family momentos here, such as family photographs and meaningful art or paintings. Since the living room is where visitors are most likely to spend time, often families have other elements of decor here, as well, such as houseplants, mirrors, and rugs. How and where you place these items matters. For example, placing certain items, such as a feng shui money tree, in the southeast corner of the living room can boost your family's prosperity. Living room color can support auspicious feng shui. Choose wall and accent colors for your living room that your whole family enjoys that will support the social and family elements of the room based on where the room is located in the house. 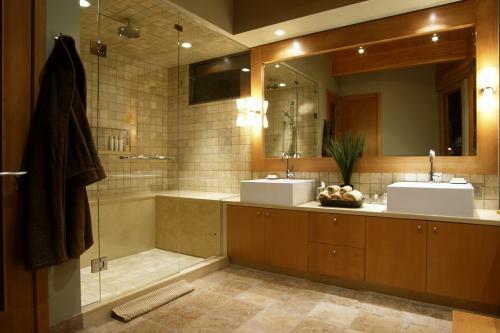 Bathrooms are considered inauspicious in feng shui, but everybody has to have one. Many believe they are a drain on energy and prosperity because of the sink, shower, tub, and toilet drains. So while bathrooms are never going to be considered great luck, you can add some feng shui elements to your bathroom to make it as lucky as possible. For example, one of the cardinal rules of bathroom feng shui is to always keep the toilet lid down so you aren't flushing money or luck down the toilet. You can also choose auspicious colors for your bathroom decor that balance and minimize the overabundance of the water element found in every bathroom. Often, laundry rooms are where chi goes to die (or at least stagnate) because they tend to get very cluttered with baskets of dirty laundry, piles of clean laundry waiting to be folded, and storage of laundry items. The energy of the laundry room is also similar to that of a bathroom because you dispose of things there and it has a lot of the water element. 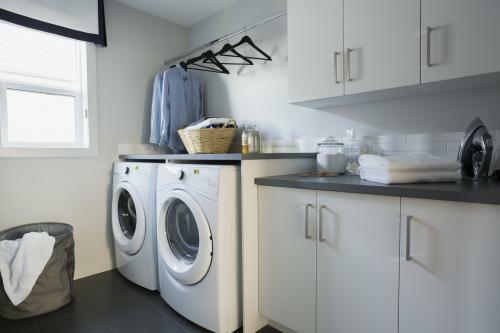 Fortunately, there are simple feng shui rules for laundry rooms you can follow to help keep your laundry room tidy and minimize the impact it has on the chi in your home. Stairs and hallways direct chi because they tend to be very narrow and directional. 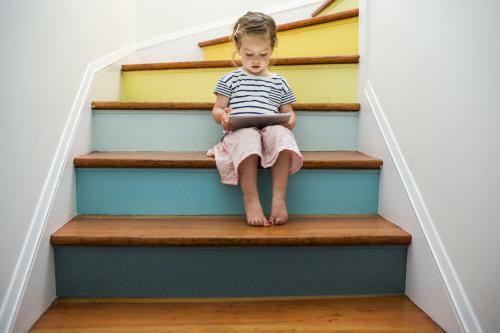 Stairways move chi to other levels of your home, so you need to make sure you follow vital feng shui rules for staircases. In hallways, use feng shui lighting and doorway tips to keep the energy flowing freely. From the entry way, to the center of your home, to the back door, you can optimize the flow of chi to create auspicious energy. By following crucial feng shui rules, you can have better luck in every room of your home.